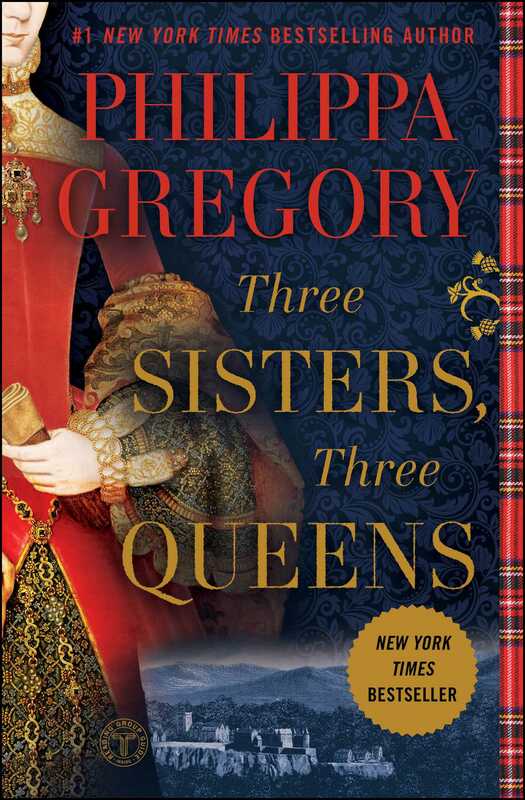 This reading group guide for Three Sisters, Three Queens includes an introduction, discussion questions, ideas for enhancing your book club, and a Q&A with author Philippa Gregory. The suggested questions are intended to help your reading group find new and interesting angles and topics for your discussion. We hope that these ideas will enrich your conversation and increase your enjoyment of the book. Born into a life of privilege as a Tudor princess, Margaret has always known God has predestined her and her family for greatness. Yet the arrival of Katherine of Aragon to marry Margaret’s brother sends her, along with her younger sister, Mary, into a unique sisterhood of rivalry, affection, betrayal, and understanding, which will last a lifetime for the three future queens. When Margaret is sent to marry King James IV of Scotland, she believes her marriage will herald peace between her homeland of England and her adopted kingdom of Scotland. Yet in the years to follow, there will be little quiet among the kingdoms or among the royal families. And through it all, it will be her sister queens who are both her chief foes, and her chief allies. 1. Three Sisters, Three Queens opens on the eleven-year-old Princess Margaret, who, while spoiled and materialistic, is a product of her environment. What did you think of the choice to open the novel at this stage of Margaret’s life? What did you think of Margaret? Does it matter if we, the reader, like her? 2. Discuss the title of the novel in relation to the characters. Margaret, Katherine, and Mary must navigate their political relationships in addition to their familial relationships. Do you think they would have had stronger bonds with one another without their political responsibility? In what ways did it bring them closer together? 3. Throughout the novel, money—and the lack of it—is a significant consideration and the impetus for many turns of events, including Katherine’s inability to return to Spain after Arthur’s death. Were you surprised by this? 4. Margaret is thirteen when she marries thirty-year-old King James IV of Scotland. While this was common at the time, how do you reconcile her marriage and her relative immaturity with our modern notions of adulthood and matrimony? 5. “I know that everyone always knows everything about me and constantly compares me to other princesses. I am never judged for myself” (page 54), Margaret says on her wedding night. Do you think she is being self-centered or observant? Can you apply her sentiments to Katherine and Mary as well? 6. Was James a good husband by the standards of that time? What about our standards today? Do you agree with Margaret that his illegitimate children should not live with them? 7. “This is love, and I am fascinated by it” (page 179), Margaret muses at the beginning of her relationship with Archibald, Earl of Angus. Do you think Margaret is really in love with Archibald? Consider her reference points for what constitutes love. 8. At her wedding to Archibald, Margaret notices that he does not have a ring to give her. “I laugh when I find that Ard has no ring, and I take one of my own off my right hand and he gives it back to me, putting it on my wedding finger” (page 180). Though Margaret brushes it off, it’s a strong symbol to the reader that there may be trouble. Did you see the dissolution of their love match coming? What other warning signs did you notice? 9. Margaret firmly believes that “the appearance of royalty matters more than the reality” (page 302). From where (or from whom) do you think she has learned this? Does this help us reconcile her fixation with regaining the jewelry inheritance from her grandmother and obsession with new gowns? How is this belief upended at the end of the book with Henry VIII’s rejection of the Roman Catholic Church and marriage to a relative commoner, Anne Boleyn? 10. Look at Margaret’s development from a young princess who only cared for material possessions to a self-actualized queen who declares “never again will I think that morality is different for men” (page 503). What do you think was Margaret’s turning point? Was she simply maturing, or were there specific moments in her life that opened her eyes to the world at large? 11. The plight of women during the Tudor era is a major focus of the novel. “This is how women are treated: when they act on their own account they are named as sinners, when they enjoy success they are named as whores” (page 391). How much do you think has changed in the past five hundred years? What has stayed the same? 12. What do you think of Katherine’s statement that “to be a good wife is to forgive” (page 442)? How does this sentiment determine her character’s arc? How might it have changed without it? 13. The end of Three Sisters, Three Queens shows the beginnings of social change and mobility in England with the rise of a non-royal, Anne Boleyn. Yet Mary and Margaret are staunch defenders of the old social order, and hate Anne Boleyn partly because of her humble beginnings. Did you agree or disagree with their attitudes toward Henry VIII’s second wife? 1. Late in Three Sisters, Three Queens, Margaret realizes, “I want to be happy. I want to see my son grow to be a man. I want to be wife to a good man. I won’t give up on these ambitions for the good of my country or the good of the Church, and I certainly won’t give them up only because my sister-in-law the queen would prefer it” (page 377). Make a list of the goals you consider most important in your life that are nonnegotiable. Do they differ greatly from Margaret’s desires? 2. Margaret’s son James lives a relatively short life, but his daughter is a familiar figure in English history—Mary, Queen of Scots. As a group, research what happens to Margaret’s descendants and who pops up again in the fight for the English throne. 3. 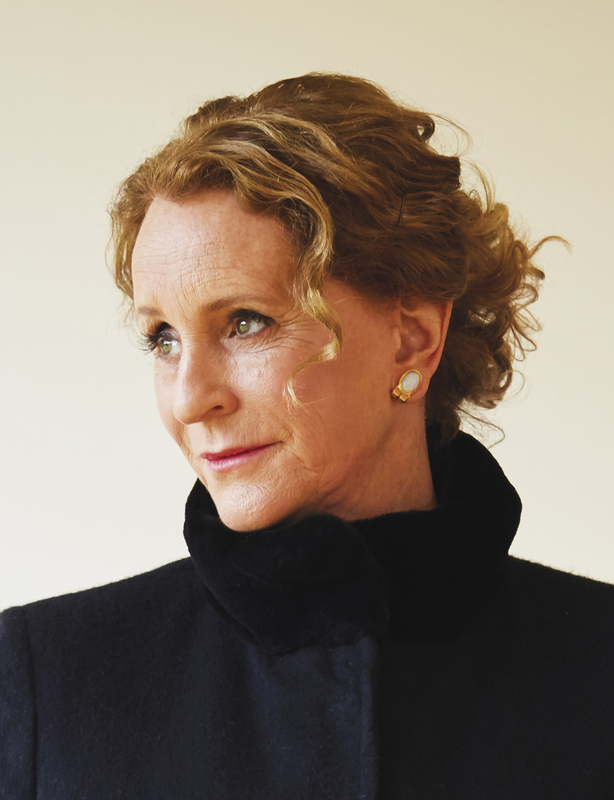 Philippa Gregory has written numerous novels set at the Tudor court, including The Constant Princess, which is Katherine of Aragon’s story. Have each member of your group take on another of the Tudor novels and reflect on how a different point of view affected their reading of Three Sisters, Three Queens. 4. To learn more about the Tudors, English history, and Philippa Gregory’s other novels, visit PhilippaGregory.com or follow her on www.facebook.com/PhilippaGregoryOfficialFanPage or Twitter @PhilippaGBooks. A trademark of your work is presenting a piece of history from a different point of view than we’re used to—that is, a woman’s point of view. What drew you to the story of Margaret, Katherine, and Mary, and what is something you hope readers will take away that they might not get from a history book? A history of the period cannot show the internal lives of the characters; there are no diaries or journals for these women and very few letters—if we want to imagine them as rounded personalities, we will have to turn to fiction. Women’s lives especially have been ignored by historians, and these women, as Tudor princesses, have been viewed by historians at the time and later as pawns in the dynastic battles of Europe. If we are interested in women as individuals, if we are interested in their inner lives (and I am! ), then we are going to have to look through the events to the women behind them, and to their motivation and probable characters. You’ve written extensively about the Tudor family. How did you decide to tell this story from Margaret’s point of view, instead of Katherine’s or Mary’s? Oddly, I started this novel wanting to write a story exclusively focused on Margaret, but as I wrote it, the importance of the other two women, her sister and sister-in-law, emerged for me. It seemed to me that their lives and hopes rose and fell in contrast to each other, that they were bound to be rivalrous; and at the same time, nobody else in the world knew what it was like to be a sister or wife dependent on Henry VIII, whose relationship with women was so very troubled. I have written extensively about Katherine of Aragon in The Constant Princess, in The King’s Curse, and in The Other Boleyn Girl; it was interesting to see her now through the eyes of her sister-in-law, who—when she was widowed—probably blamed and hated the Queen of England. Early in the book, Margaret’s mother remarks, “[Y]our sisters are the keepers of your memories and hopes for the future” (page 6). Do you have sisters or siblings? What relationships did you draw on when charting the relationships of the three women? When I write a novel about real-life sisters, I draw on everything I can find out about their lives, and what I imagine it was like for them. I don’t draw much on my own life, which as a relatively liberated woman of the twenty-first century is so extraordinarily different. But I do have a sister and I do think there is a sense of belonging and difference, of love and loyalty and clear-sightedness. You wrote The Constant Princess, which centers on Katherine of Aragon, more than ten years ago. How did it feel to revisit Katherine’s story from a new perspective? Has your view of her changed in the intervening decade? Katherine of Aragon will always be a big favorite for me because of her courage and constancy both to her husbands and to her beliefs, but this novel sees her at her least attractive—as a brutal and determined commander of an army, very much the daughter of her mother the queen, militant Isabella of Castile. The very qualities that she brings to her role as Regent of England are those that make her formidable in war and peace. I admire her tremendously, but it was interesting in this novel to see how she looked from the other side—if you were her enemy. Katherine announces, “I am always on the side of the woman. Even if the woman is my rival” (page 314). Three Sisters, Three Queens explores the complicated bonds of sisterhood in a patriarchal world; despite their differences, do you think the women ultimately empowered one another? No, honestly, I don’t. I think they were tremendously ambiguous in their impact on each other’s lives. Sometimes they worked together—as in the scene when they appeal for the apprentices, which I was determined to include (though technically I thought I should perhaps have cut it out). I kept it in because it showed the three women in powerful stereotypical mode as three queens humbling themselves to beg for mercy. They really act as one in that scene, although Margaret is very knowing and quite cynical about the royal theatre aspect. But when their interests differ, I think they are powerfully for themselves. Mary objects very strongly to the rise of Anne Boleyn, but she does not risk a breach with her all-powerful brother; she urges her sister Margaret against individual happiness and a marriage for love, though she herself took that choice. Katherine is a powerful enemy of Margaret’s on several occasions, and Margaret is jealous of the two of them and ambitious to push them from the place of mother of the next King of England. I really enjoyed not writing a novel that was sentimental about sisterhood but trying to show the deep contradictions at the heart of a relationship between three women who are loving sisters and also rivalrous queens. Margaret observes, “There is something about talking with Harry that always tempts me to speak as if in a masque. He is always rather staged. He never speaks without an eye to his effect. He never walks without an eye to his appearance. His natural pomposity is choreographed” (page 307). How much of your characterization is based on historical documentation and how much is dramatized? Having written so extensively about Henry VIII, do you enjoy leaving these Easter eggs for longtime readers? I am so glad you spotted this passage—I loved it at the time of writing! This is, of course, a fictional observation by a fictional representation of a real character, about another fictional representation of a real character, so we have two layers of creation on top of the history here. But I think the history underneath really justifies this thought—there’s a whole book about Tudor propaganda, Selling the Tudor Monarchy: Authority and Image in Sixteenth-Century England by Kevin Sharpe, which examines the Tudors projecting themselves as kingly. Henry VIII did this wonderfully, and I believe that even as a boy (when we have accounts of him showing off before the court) he had a sense of his own self-importance. The letters between the three sisters play a large role in your narrative. Were they based closely on historical documents? What other texts bolstered your research? There are quite a lot of contemporary reports of Margaret because she was spied on by English spies who reported to Henry and was a character of interest to contemporaries. There is very little about her personally, but some of her letters survive. I have seen no letters between her and her sisters—those had to be imagined. I think it possible that they wrote intimately and personally, and destroyed the letters after reading. There are hundreds of histories of Henry and many of Margaret’s husband and son, so sometimes I was able to study her through reading the biographies of the men in her life. But as a Tudor woman—even as a queen—she has not been widely researched. There are a couple of very good modern biographies that I cite at the end of the novel for anyone who wants to read more. In the course of your research, did you learn anything surprising that you incorporated into Three Sisters, Three Queens? I was absolutely amazed that a Tudor princess should divorce her husband, years before Henry wanted to leave Katherine of Aragon. I was amazed by Margaret’s ambition, by her determination, and by her ability to leave a man for emotional reasons when the conventions of her world and the pressure of strategy indicated that she should endure him. Henry’s explosive rage at her breach of convention and the laws of God was a pleasure to read, bearing in mind his rapid change of heart when it suited him. It’s an extraordinary little story at the heart of the greater one. What are you working on next? Any plans to give Mary a book of her own? I do like Mary Tudor very much indeed, but my next novel is going to be about Jane Grey. "Nobody shines a light on the women of Tudor history like Philippa Gregory… Meticulously researched and deeply entertaining, this story of betrayal and divided loyalties is Gregory on top form."